This page is dedicated to a legendary figure in India - the late Pandit Kumar Gandharva, singer and intellectual of Indian Classical Music. He was the person whom I have admired the most in my life. His contribution to Indian music and hence to the lives of all those who knew or heard him, is difficult to encapsulate in a humble Home Page. Still, this is being offered in the hope that more people will get to know about this great person and the legacy of musical recordings and memories that he left behind for us. An article that I wrote about Kumarji, specifically for this page. A gallery of photographs of Kumarji. An excerpt of a musical composition from his diaries, in his own handwriting. 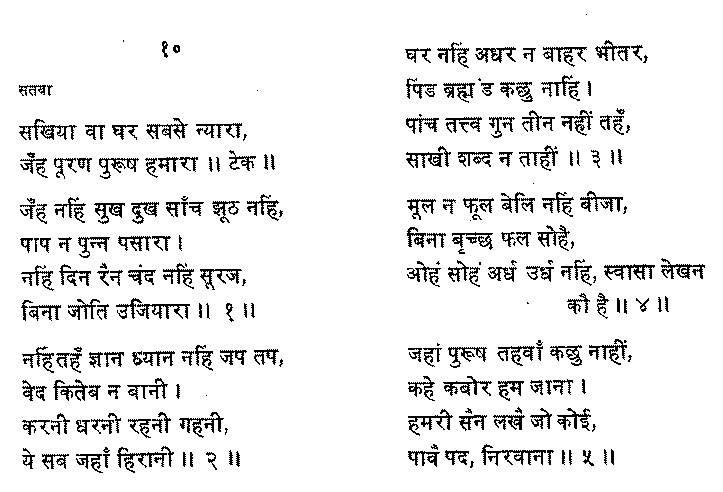 The words of a beautiful Kabir bhajan that was set to music by Kumarji. 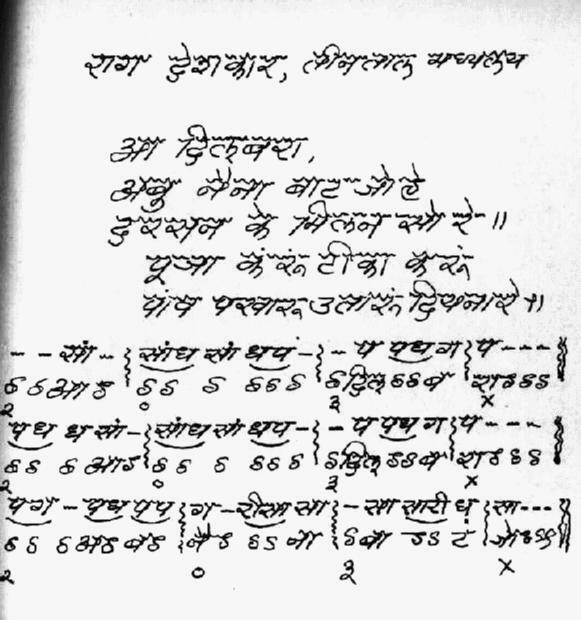 Lyrics of Kumarji's special concert programmes. 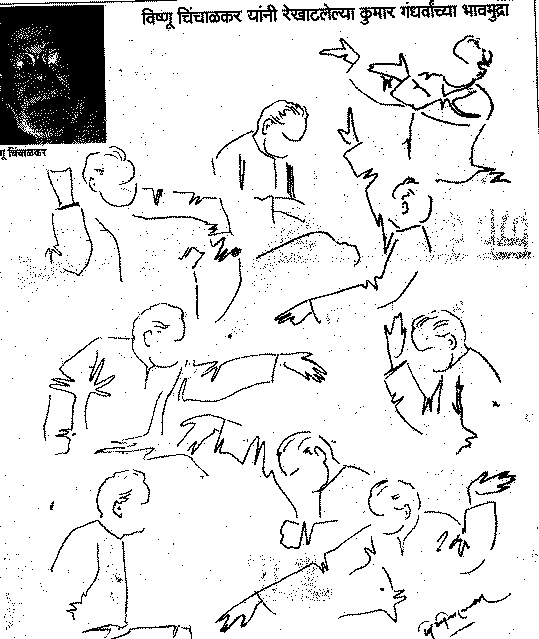 Some sketches of Kumarji's famous gestures. 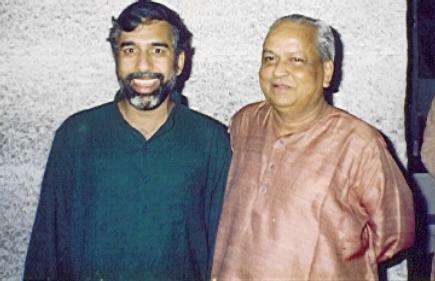 A photograph of myself with Kumarji (Delhi, 1991). Some addresses where you can obtain publications by/about Kumarji. Samples of Kumarji's music, at Music India Online. Search for Kumar Gandharva under "Hindustani Vocal" and "Artist". Video clips of Kumarji's music, at YouTube. This page is maintained by Sunil Mukhi.